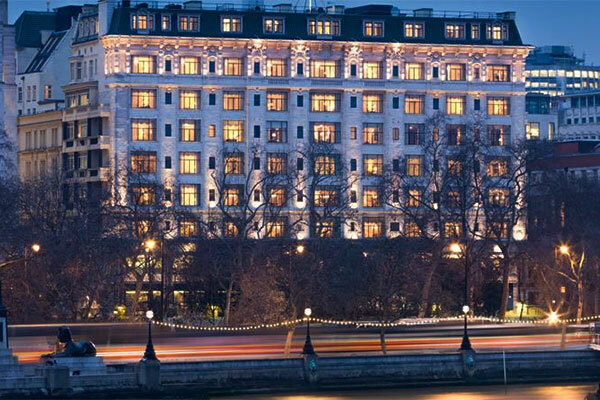 AccorHotels is buying the owner of luxury hotels including London's Savoy and New York's Plaza, in a cash-and-share deal worth $2.9 billion that will also raise the US profile of Europe's largest hotel group. The deal, AccorHotels' biggest, is the latest in a wave of acquisitions in a sector trying to fend off competition from online rivals such as Airbnb and will involve two major Gulf investors taking stakes in the French company. The Paris-based group said it would pay for FRHI Holdings Ltd, parent of the Fairmont, Raffles and Swissotel chains, with $840 million in cash and by issuing 46.7 million new shares. The share issue will leave the Qatar Investment Authority (QIA) with a 10.5 per cent stake in Accor, and Kingdom Holding , Saudi billionaire Prince Alwaleed bin Talal's investment company, with 5.8 per cent. Two QIA representatives will be appointed to AccorHotels' board and Kingdom Holding will have one, Accor chief executive Sebastien Bazin said on a conference call. An AccorHotels shareholders' meeting will be held in the second half of 2016 to approve the deal. The company said the deal would boost earnings starting from the second year, with 65 million euros in revenue and cost synergies expected. With the acquisition of FRHI and its portfolio of 155 hotels and resorts in 34 countries, AccorHotels will become one of the key global players in the luxury and upscale segment, with nearly 500 hotels, Bazin said. FRHI properties are located in the world's major tourist destinations, particularly in the United States, the leading outbound travel market, he added. The deal follows Marriott International Inc's $12 billion takeover of Starwood Hotels & Resorts Worldwide Inc earlier this year to create the world's largest hotel group. AccorHotels, which also competes with InterContinental Hotels Group Plc and Starwood Hotels and Resorts Worldwide Inc, is undergoing a reorganisation under Bazin who took the top post two years ago. Media reports that a deal could be under way had appeared in October. "Accor lacks meaningful upper upscale/luxury scale exposure and has hardly any presence in North America," Citi analysts said at the time. "FRHI would help on both counts."